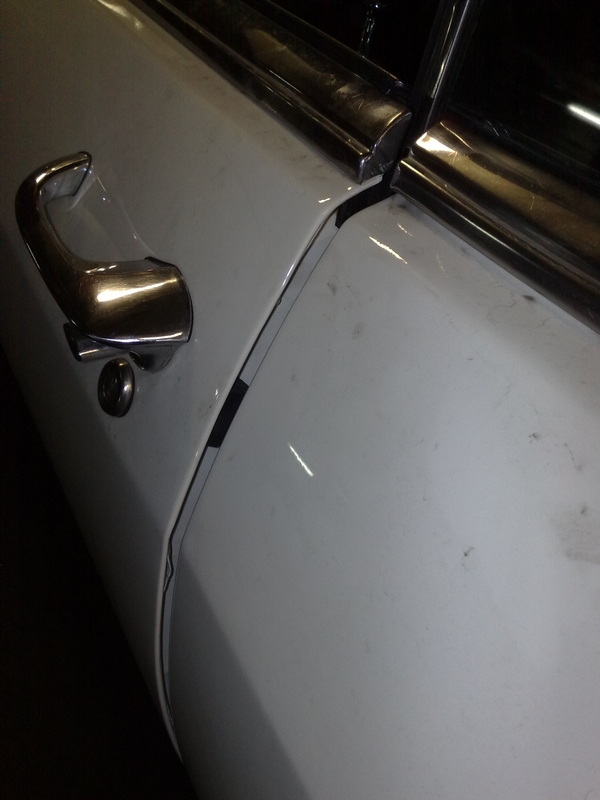 as you can see on the attached picture my drivers door does not close well. I have adjusted already the striker plate to the max possible inside position. the door hinges and panels are in ok position. is there any trick apart the 1965 body service manual? my wild (and crazy) guess is that the very new door bumpers are too thick and there for prevent the door from closing perfectly. Did you try adjusting the fender? Perhaps if you loosen the lower fender bolt, the one on the window pillar, and the top one near the cowl you can move the fender out so that it lines up. You may need some spacers to maintain the alignment. I would agree that your bumpers are too thick. Have you tried the closing the doors with out them? You can adjust the fenders to line up with the front of the door but your gap at the back of the door can't be aligned that way because you're trying to align with the body structure.